This globe-trotting mystery featuring intrepid photojournalist Sophie Medina is an “assured tale of love, loss, and secret agendas, the first in a new series, which... offers a complex portrait of our nation’s capital, with its historic beauty and roiling underbelly of deceit and danger” (Publishers Weekly). When photojournalist Sophie Medina returns to London from an overseas assignment, she discovers that her husband, Nick, a geologist and covert CIA operative, has been abducted and assumed dead. Three months later, a friend in the British government relays that Nick has been spotted in Moscow, but Sophie is allowed little joy before the news turns dark—Nick is accused as a suspect in his boss’s murder and rumors circulate that he’s involved in illicit Russian oil deals. With her every step closely watched, Sophie moves to Washington, DC, to be with her family and friends. 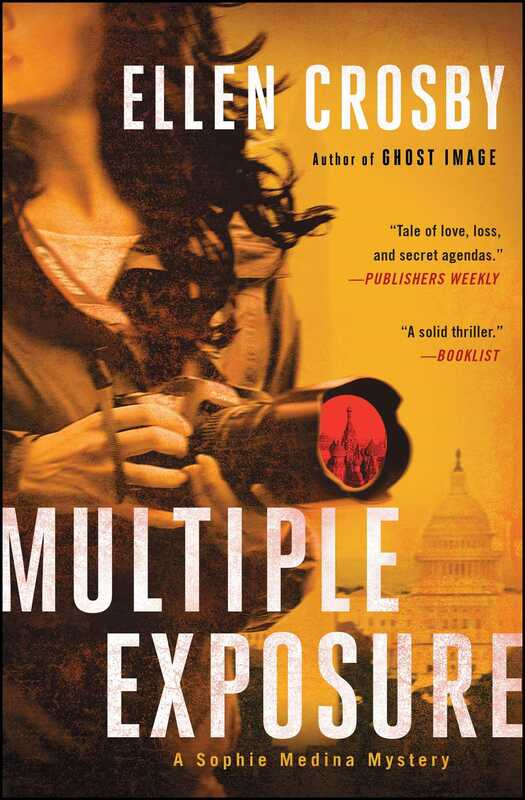 Weaving together political intrigue, art history, and international espionage, the fast-paced Multiple Exposure is the thrilling first novel of an exciting new series. I’ve been in too many war zones not to recognize blood when I see it, but I did not expect to find it smeared on the whitewashed walls and puddled on the black-and-white harlequin tile floor when I opened my front door. It’s just past midnight as my taxi driver pulls up to the curb on the quiet, dark cul-de-sac where we live in north London. I’m back after two grueling weeks of work in Iraq, a photo shoot on the new postwar architecture of Baghdad, pastels and sleek modern structures blooming incongruously alongside exquisite medieval buildings and the rubble of destruction. I open the arched wooden door to the half-timbered Tudor cottage Nick and I rent in Hampstead and call out that I’m home. Outside, the cab pulls away now that the driver, an elderly gentleman with an old-fashioned sense of chivalry, believes I’m safely inside. When Nick doesn’t answer, I figure he’s already upstairs, either in his study—he’s been working so hard lately—or in bed reading. A bottle of Veuve Cliquot will be chilling in the silver bucket he bought at a flea market after the seller swore it was used at the Château de Condé for the wedding of Edward VIII and Wallis Simpson. There will be red roses, for passion, on my pillow. You don’t have to tell me. I know I’m lucky. Then I see blood, illuminated by a swath of golden light from the lantern at the front door. Frantically, I begin turning on lights throughout the silent house. The blood is dark and rust colored, but I can tell it’s recent, not more than four or five hours old. The last time Nick and I spoke was in Istanbul as I boarded my connecting flight. Just before I hung up he told me he loved me, as he always does, and I started to say, “Love you more,” because that’s our routine. But my phone, down to a sliver of a battery, died before I got the words out. I never got to tell him that one last time, and it still haunts me. I set down my equipment bag and suitcase and unstrap my tripod, which I wield like a saber as I follow the path of blood spatter. Signs of a struggle and someone being dragged. A partial handprint on the wall of our sitting room, like a child’s art project. I call Nick’s name, hoping he’s still here, and pray he hasn’t bled out. The house has a tomblike stillness about it and somehow I know his attacker or attackers are gone. And so is Nick. In the sitting room, a bottle of Scotch is overturned, the clear liquid leaving a dark wet stain on the Bukhara carpet I brought back from an assignment in Afghanistan. His glass has rolled under the settee, and his book, John Julius Norwich’s Byzantium: The Early Centuries, lies splayed open on the floor. Upstairs, the blue-and-white Amish wedding ring quilt on our bed is gone. The blankets are askew, so it was probably dragged off in haste and I know that is how he left the house, bundled in the quilt under which we’d made love so many times. Otherwise, our bedroom looks as it always does, and his clothes are still hanging in the armoire or folded in his dresser—suits arranged by season, shoes and work boots lined up in two rows, ties draped over the antique rack I found in a shop on Portobello Road. Sweaters, underwear, socks organized neatly in the drawers. The computer is switched off in his study. His desk is immaculate, as usual. Nick doesn’t leave work around, not in his business. I stand there for what seems like ages, wondering whom to call: 999, which will bring officers from the Hampstead police station? Scotland Yard? But I know what I’m supposed to do and reach for my phone. I call Nick’s people and they come. The regional security officer from the American embassy and a bland man with a forgettable face who says his name is John Brown. That’s it. That’s all I, Sophie Medina, can tell you with absolute certainty about the night my husband, Nicholas Canning, was abducted from our home. Everything else, the rest of that night—sirens wailing, bright lights strobing the quiet darkness, doors slamming, voices raised in alarm—is a blur. "Crosby introduces photojournalist Sophie Medina in this assured tale of love, loss, and secret agendas, the first in a new series, [which]...offers a complex portrait of our nation’s capital, with its historic beauty and roiling underbelly of deceit and danger." 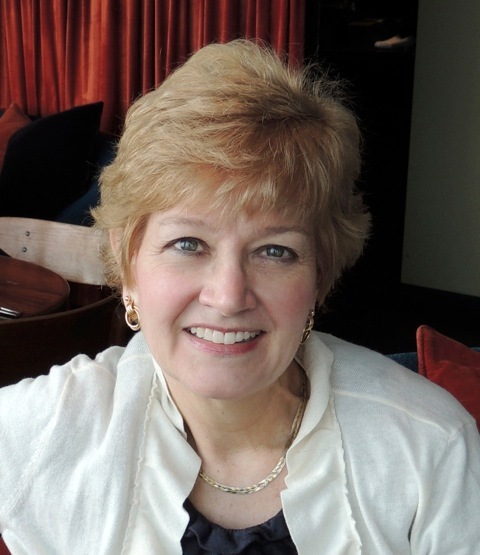 "Ellen Crosby has segued from wine to international espionage without missing a beat. Her new book combines old-fashioned deduction with up-to-the-minute spycraft and gives us, in Sophie Medina, a doughty heroine who will be charming readers for years to come." "This one is right up my alley --- Faberge eggs, Russians, and political intrigue --- all of which keeps you absolutely intrigued, ready for the gut punch. Ellen Crosby certainly has a talent for making the conventional wholly unconventional. You're going to enjoy this one." "Crosby seamlessly blends fact with fiction to establish a fast-paced mystery that is as creative as it is well researched. Readers looking for a lively, alluring mystery teeming with intellectual takeaways that become instant conversation starters will enjoy Multiple Exposure, as well as its spirited female lead, elements of Russian art history and international conspiracy."